I wish I could go back in time to the beginning of my green beauty journey and assure myself that—not to worry—one day in the future there will be not one but several nontoxic, mineral sunscreens you’ll love wearing. I learned to stay far away from chemical sunscreens like oxybenzone and avobenzone (these always stung and irritated my skin anyhow, so good riddance). Since then I’ve opted for physical UV blockers that rely on minerals like zinc oxide instead. As most of you know well, there weren’t many choices for daily wear mineral SPF that actually feels good to wear and doesn’t overly whiten your skin… until recently. The Josh Rosebrook Nutrient Day Cream SPF 30 was a game changer for daily wear sun protection, and now with new sunscreens available from Kari Gran and KYPRIS, I feel truly liberated from the sunscreen conundrum—there’s a beautiful option for every skin situation and personal preference. I want what most people want out of a daily wear mineral sunscreen. In addition to being safe and nontoxic, at a minimum, everyday SPF should be absorbent and non-sticky, absolutely non comedogenic, and it shouldn’t dramatically whiten skin. The new sun protection options from Kari Gran and KYPRIS meet my criteria in spades. These are the best new sunscreens for daily wear, and must-haves for anyone still searching for the perfect option. This summer Kari Gran launched a broad-spectrum physical sunscreen called Three Sixty Five SPF 28. 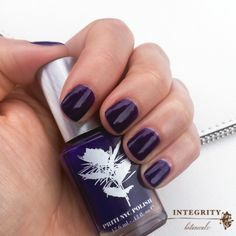 The simple formula had me intrigued from the get-go, especially with irresistible, naturally protective oils like red raspberry seed oil and French plum seed oil in the mix. Since I love the quality of Kari Gran’s oils, I knew this new formula wouldn’t disappoint. With 9 ingredients total, Three Sixty Five is perfect for sensitive skin, and it wears just like a high quality facial oil. When applied in a thin sheer layer—or barely a pump’s worth for the whole face—Three Sixty Five absorbs nicely and acts as a great primer under makeup. The non-nano zinc oxide leaves a barely there trace (it is a non-nano, mineral sunblock after all)—but the look is actually one I welcome. It brightens and evens out my complexion, creating an almost airbrushed effect, so I find I wear less makeup with this SPF, and the makeup I do wear lasts longer. I can use this as my sole moisturizer or layered on top of other products, and it’s never too heavy or uncomfortable. KYPRIS also has a new daily wear SPF and skin primer called Pot of Shade Heliotropic SPF 30. Consider yourself lucky to have such an elegant and protective formula available to you. If this light, quick-absorbing cream had been available, I would have used it daily through my teens and 20s. It’s substantially lighter than the oil-based Three Sixty Five, and it really does make a gorgeous primer under makeup. The zinc oxide is quite translucent—not as apparent as the Three Sixty Five but not as invisible as the Nutrient Day Cream. 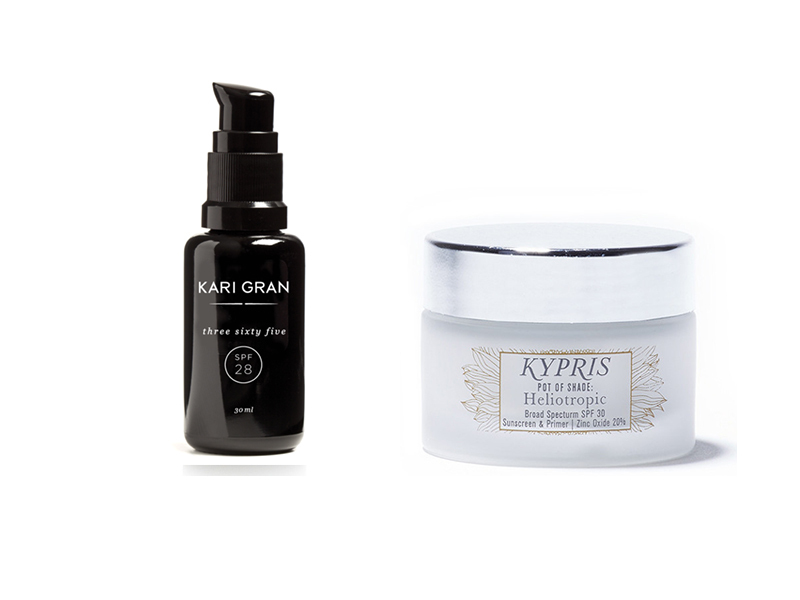 In good KYPRIS fashion, the Pot of Shade is so much more than a broad-spectrum sunscreen. The formula contains active botanicals that help improve the texture and appearance of skin. 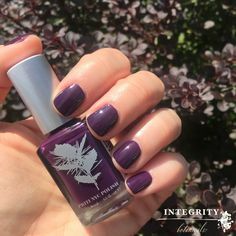 Healing tamanu, skin plumping sweet iris stem cells, and hydrating probiotics and sea algae are just a few of the nurturing ingredients in the Pot of Shade. If you already have a facial oil you love or you prefer a nice matte cream for your daily needs, you’re going to love Pot of Shade. With two incredible options for daily wear SPF, there’s no excuse to skip this important step in your skin care routine. I’m grateful to companies like Kari Gran, KYPRIS and Josh Rosebrook for creating SPFs that make everyday sun protection easy and enjoyable. Hi, thanks for the article. Great summary of what’s available! I have combination/oily skin with a tendency for acne, and I am medium brown complexion. Which would be the best sunscreen you recommend? And do you know of any sunscreens that are not also a moisturiser/primer because I do have a daily moisturiser already. I’m looking for a sunscreen I layer over the top ideally. Thank you very much!! Hi Susannah, thanks for your reply I have read your review. I think I want a higher SPF though even though ursa major sounds really really good. Ideally 30+, I won’t go higher than that and if it’s 28+, it’s close enough. Do you think that the three from your July article won’t suit me? (That’s ok, it’s good for me to know that). Thanks once again. Hi Dilushani! It’s hard to say whether these others with higher spf would be good for your skin. 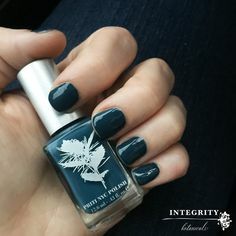 I recommend ordering samples from Integrity Botanicals and testing them out. The only real way to know whether it’s a good match is to try it out!